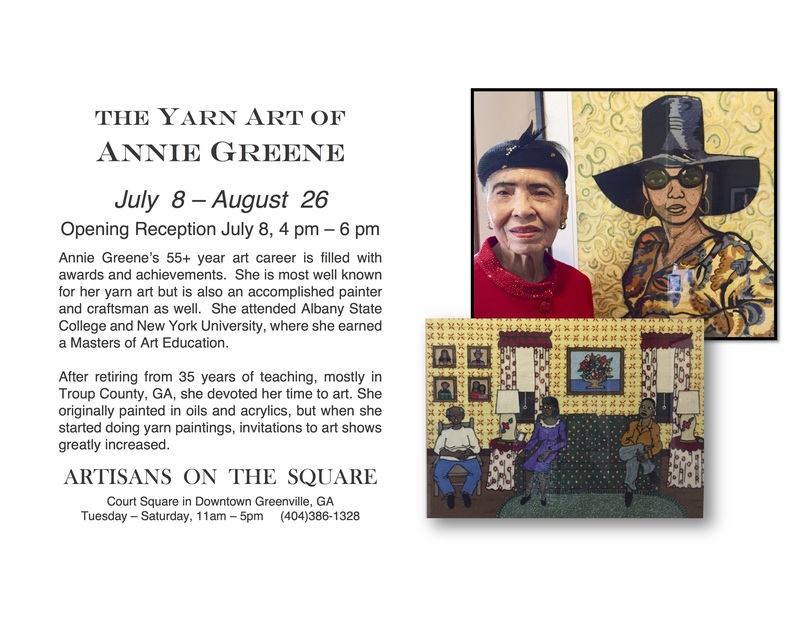 An exhibit of the works of well known LaGrange Yarn Artist Annie Greene opened Saturday July 8 and will run until August 26 at Artisans on the Square, a fine art gallery located in Historic Hill Brothers Corner in downtown Greenville, GA. 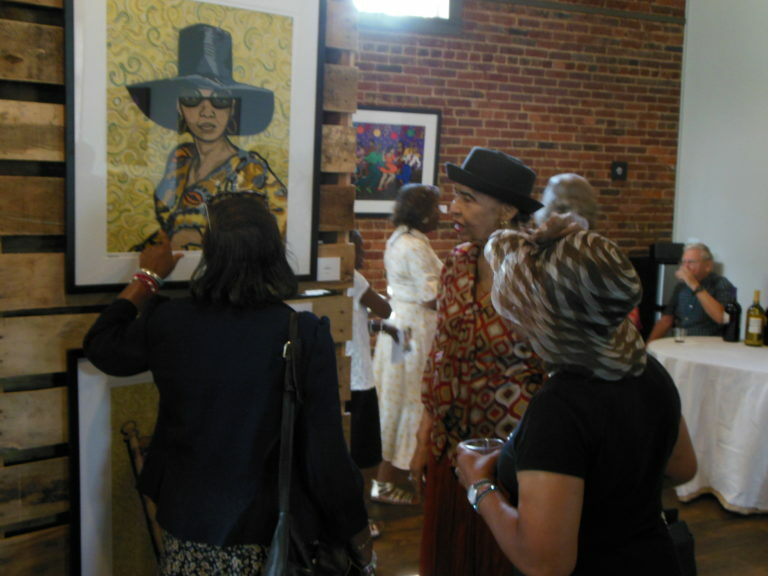 This exhibit is both a demonstration of amazing and unusual artistic talent and a walk through history. 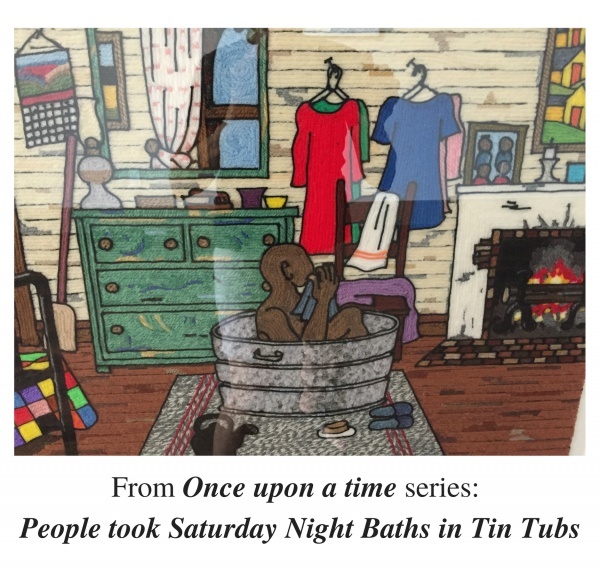 The bright colored scenes are from Mrs. Greene’s life growing up in rural Georgia and later. 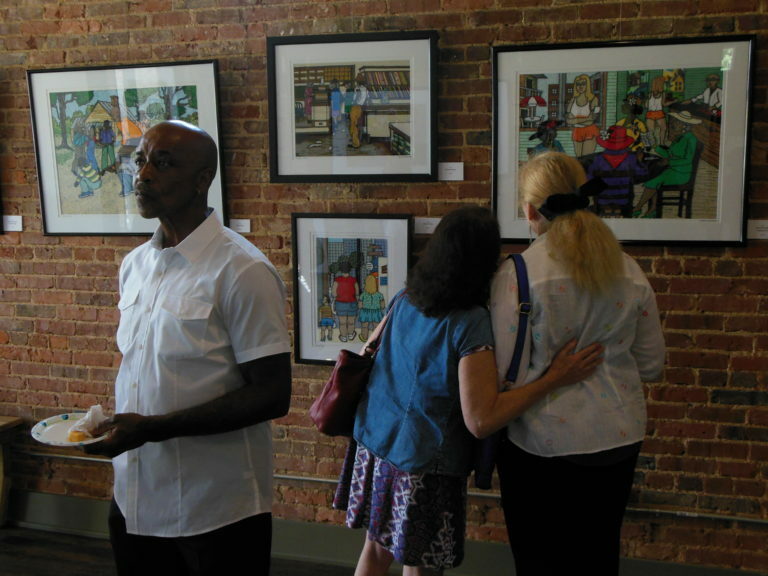 The colors are achieved by gluing individual pieces of colored yarn onto pictures drawn on water color paper. 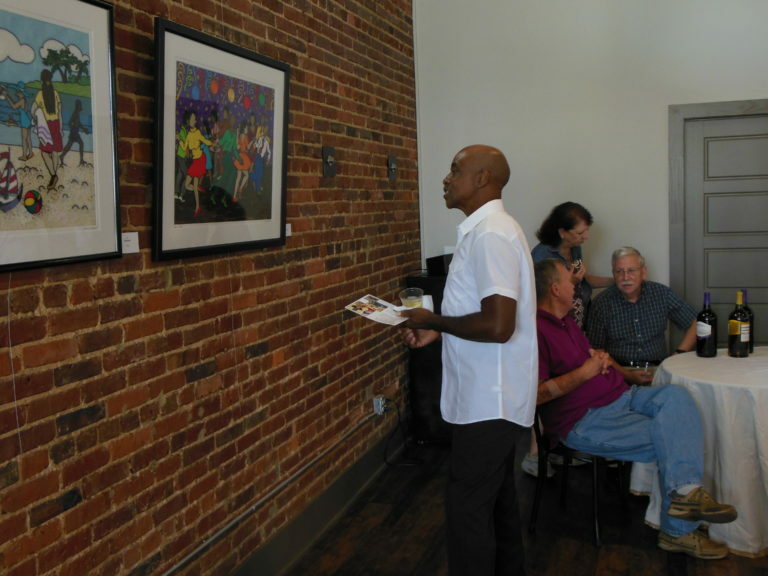 This genre requires such detail, dexterity and patience that it is not pursued by many artists. 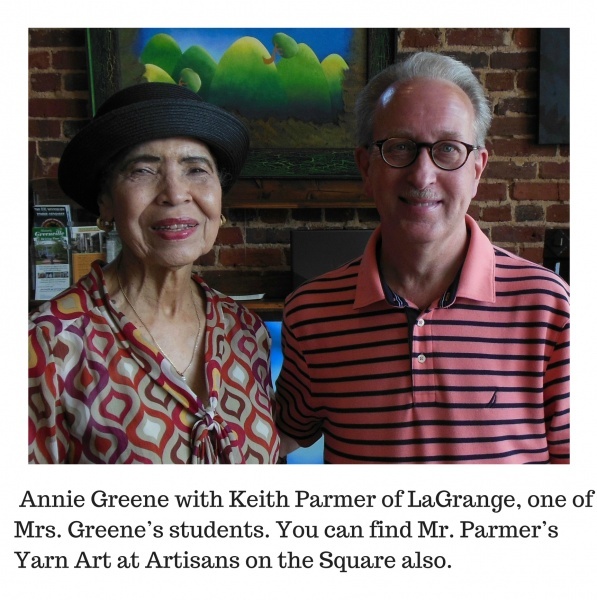 Mrs. Greene taught for 35 years, mostly in Troup County, where she introduced Yarn Painting to her students. 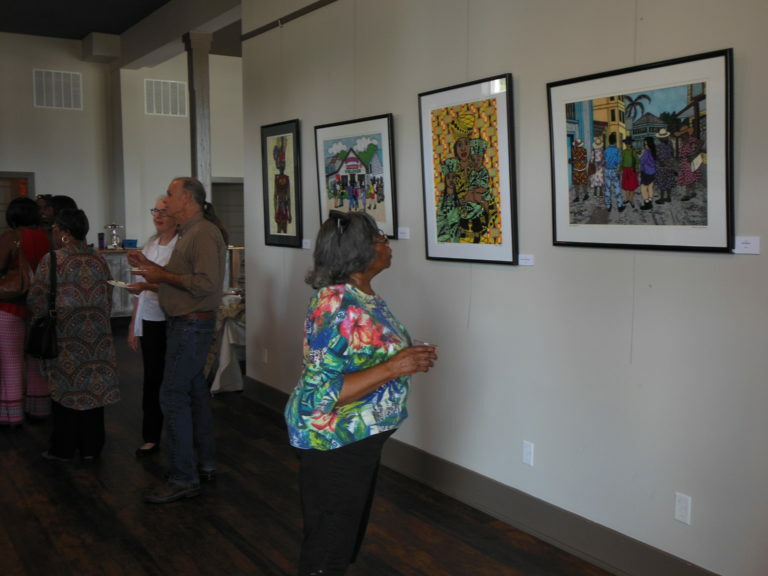 When she retired and began doing art shows, the invitations for her yarn art grew rapidly. 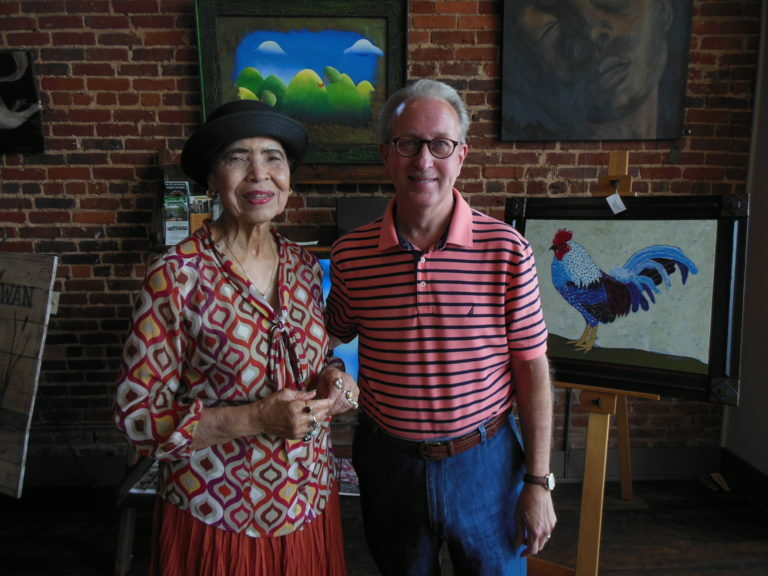 Thus began her fame as a yarn artist. 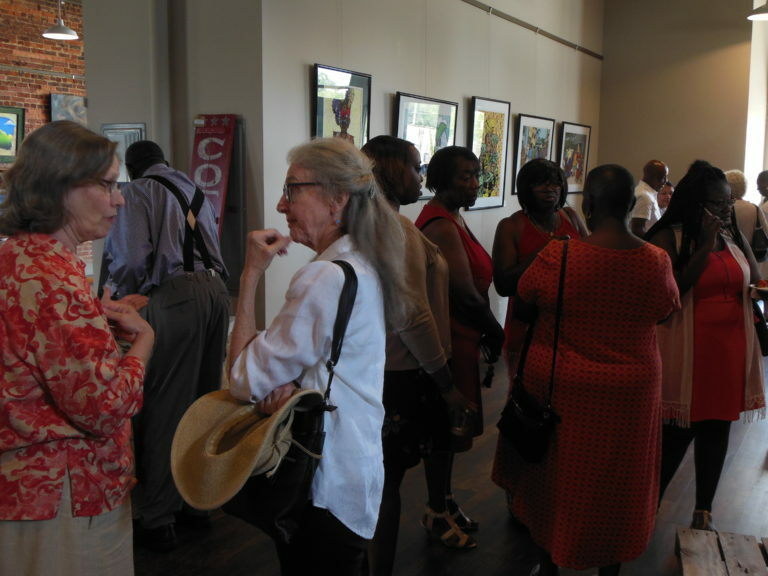 The exhibit contains 35 framed originals, 9 unframed originals, her book Georgia Farm Life in the 1940’s, and sets of note cards with 8 different prints in each set. 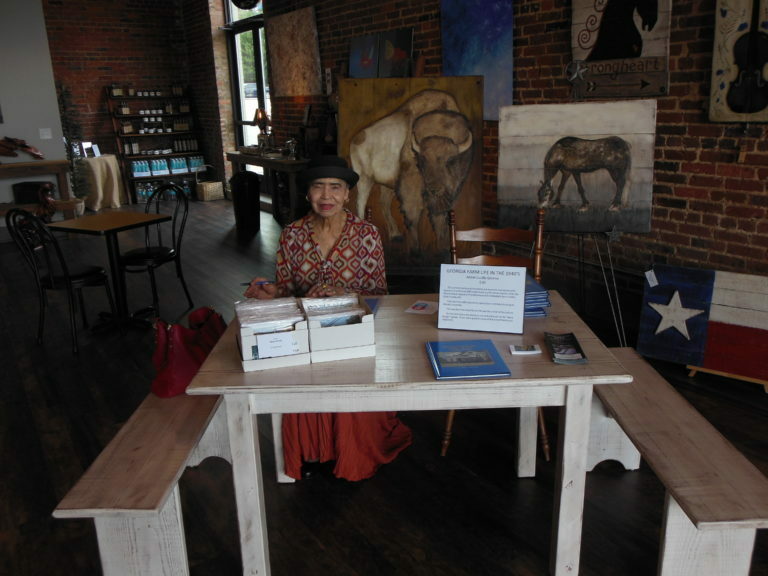 All of the work is for sale. 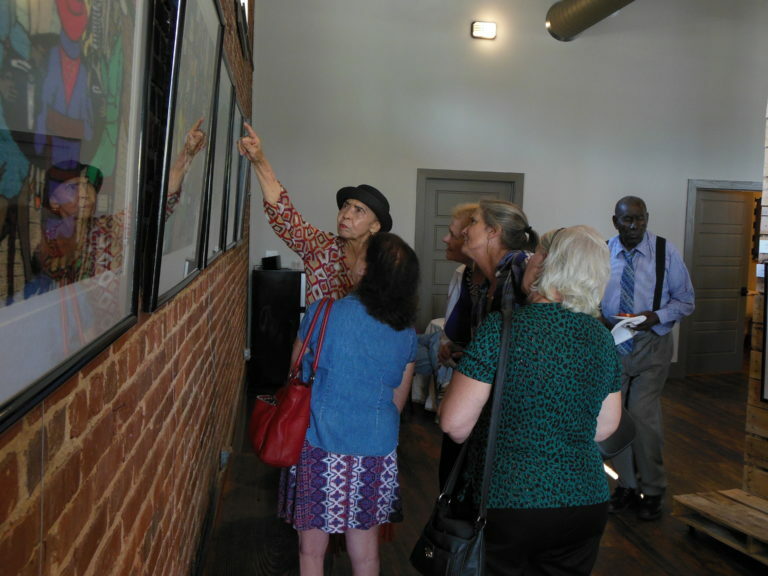 The book tells the stories for her museum exhibit, which contains 37 Yarn Paintings and has been exhibited in numerous museums in Georgia. 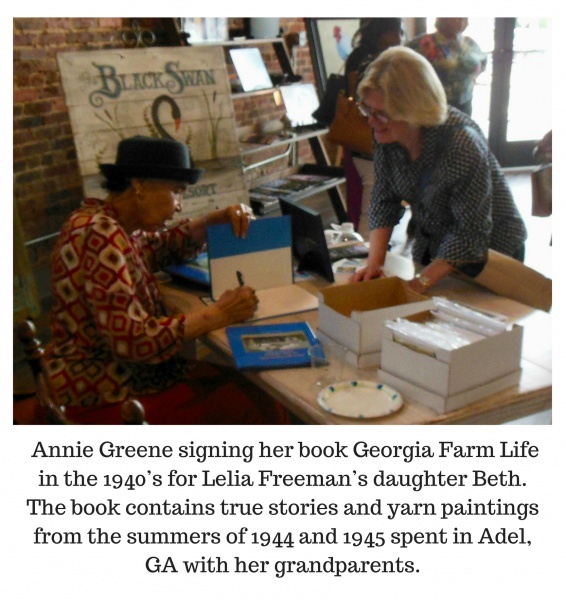 The stories and pictures are memories of the summers of 1944 and 1945 spent with her grandparents in Adel, GA while her parents, both educators, were furthering their educations at Atlanta University. 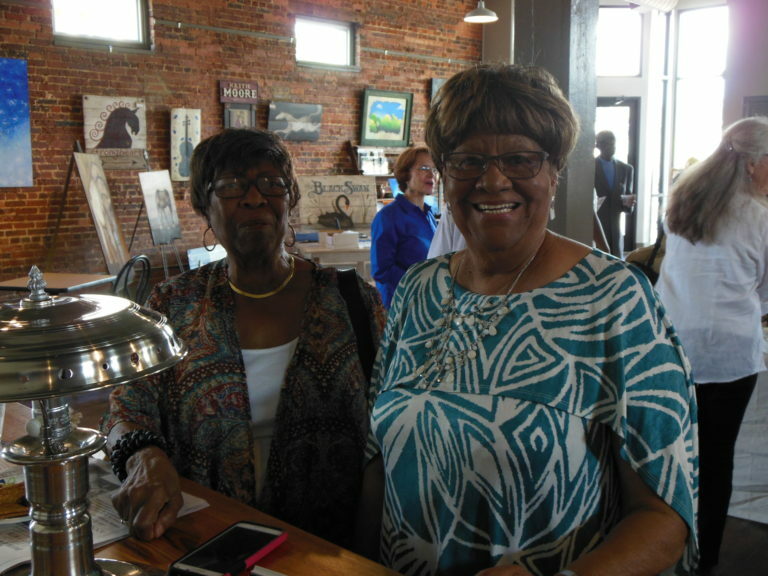 The farm grew cash crops of tobacco and cotton, along with vegetables, milk cows, chickens and hogs to feed the family and barter for goods in town. These stories of rural life could be anywhere in the country, stories of loving families, plenty of delicious home grown food, churned butter and fresh milk. Lots of work was needed on the farm, but everyone, including the children, did their share. These were happy memories. 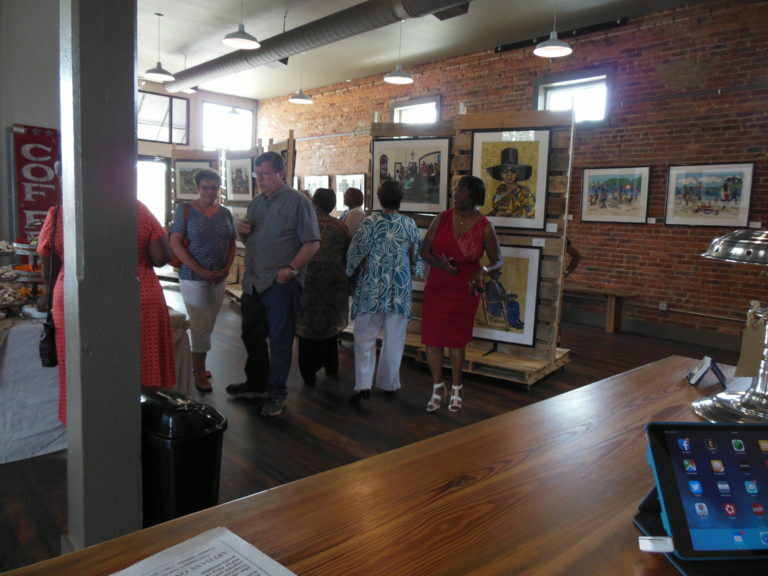 The exhibit will remain until August 26 at Artisans on the Square from Tuesday through Saturday, 11am – 5pm. 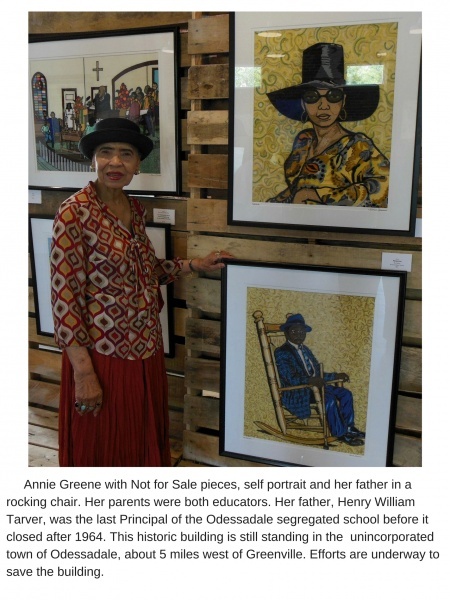 Call Linda Wilburn for additional information or to schedule group visits when Mrs. Greene can be available for book signing and telling the stories that inspired the pictures.